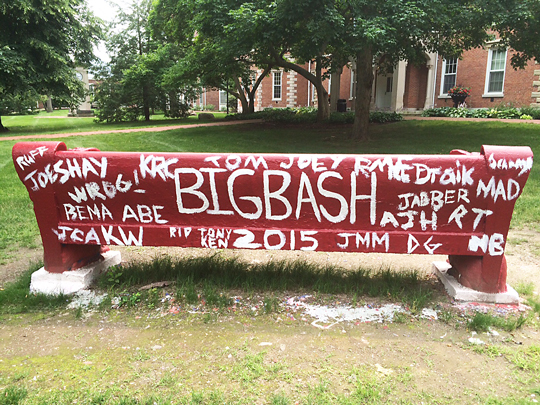 The Class of 2005 had an incredible turnout at the Big Bash – 55 class members signed in. The Grunge thought the record set by the Class of 1996 back in 2006 – 40 alumni returning – would stand for a long time. Not so. Key ingredients – blindingly simple. Strong leadership, active living unit representatives, and constant communication. No rocket science involved but activity definitely required. 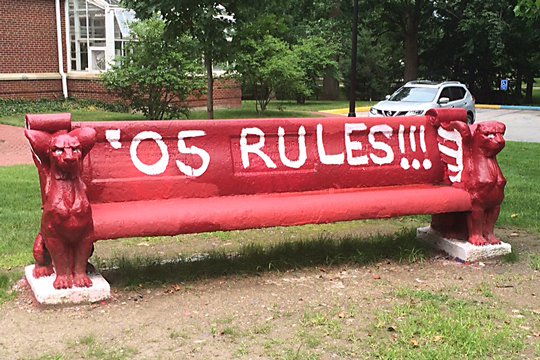 There was a little back and forth with the Class of 1985 on the bench painting but ’05 did, in fact, rule!